Your second alarm sounds and you’re already running late for work. You get out of bed still half dazed, trying to gather your thoughts enough to get yourself together and look presentable for a day at the office. As you rummage around the bottom of your messy cupboard for something to wear you realise that the mess is a representation of your mind and promise yourself to make a positive change in the future, starting with streamlining your affairs and that includes your wardrobe. Oh, that old chestnut. It’s an all too familiar scenario. Well, people!! Built in wardrobes are the perfect option for storing your clothes. They are a practical and stylish way to free up space in your bedroom while providing the perfect home for your clothes. Built in wardrobes come in many styles and designs with a multitude of internal options for your storage needs. In this post, we will take a look at the most popular choices in hope that it will help you contain your clothing catastrophe. Guess what? 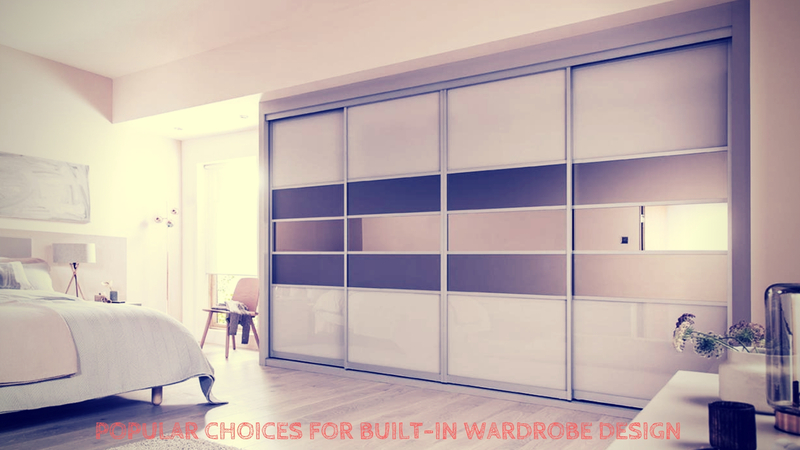 Sliding wardrobes are built in wardrobes with sliding doors and in my opinion the best option and that’s why it makes sense that they are one of the most popular styles. Sliding doors give you the luxury of space and not having to worry about late at night kicking your foot on the door you left open in the morning. You don’t have to worry about hinges and the door sagging over time and dragging across the carpet. Life’s hard enough without this sort of thing, why make it harder? But not everyone is the same and that is what makes the world an interesting place. I think the reason some people go for hinged wardrobes is for nostalgic reasons. It’s the surprise that comes with the act of opening something. It’s something familiar and functional to them and to be honest, hinged wardrobes can take a bit more of beating if you’re rough handed. Sliding is a little more functional but is not quite as hardy. If you fell into a hinged wardrobe I would ask if the wardrobe was ok and go about my day. But if you fell into a sliding wardrobe the whole house would hear the destruction. And to be fair, hinged wardrobes have evolved and are still popular. It makes sense, doesn’t it? Then you will easily see how messy your room is from multiple angles. I’m not sure if that will be good for your self-esteem but there are many uses of a full-length mirror in the bedroom. It’s classy and makes getting ready that much easier. Think about it. Instead of stumbling out of bed. You spring out of bed. A montage entails you waking up before the alarm, singing in the shower, then rushing to your perfectly arranged wardrobe and using the mirror to preen yourself into a gleaming superstar ready to close deals. Wow. That could be you, my friend. It’s another great option. They come with plenty of storage configurations. All the usual options: hanging space drawers, and shelves that can be tailored to suit your needs. These are all good options but… In my opinion is if you’re going to go built in you may as well go walk in, and if you’re going to walk in then you may as well go BIG! Treat yourself and get a walk in with all the trimmings. Hang space, a mirror, a place to cry yourself to sleep if you like. My point is that these things are big and have all the space in the world to organise your clothes into a respectable manner and they are big enough to make out in at your next game of spin the bottle. The walk in is the Rolls Royce in the wardrobe world. All these are good options for a wardrobe. It’s just a matter of picking one that caters to your needs.